I had no interest in this movie until the bad reviews started rolling in, and rolling in hard. My favorite Batman movie has an 11% on Rotten Tomatoes, so a new one sitting comfortably at 27% with critics seemed like it could be way up my alley. But then, audiences started digging it. (To date, it currently sits at 65% with them.) And that didn’t bode well. 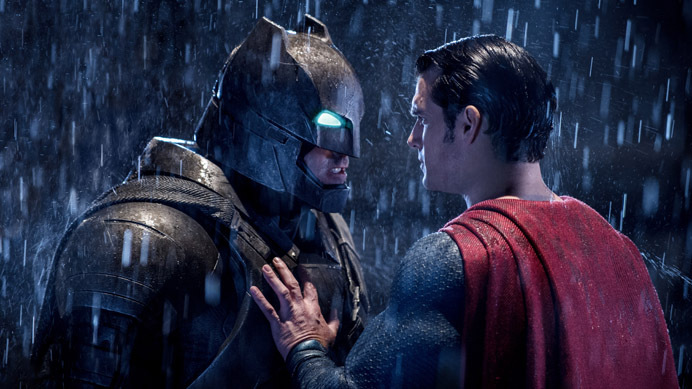 ‘Divisive’ is not what I look for in a superhero movie—‘universally-panned’ is. This formula doesn’t always work out—Catwoman really is that bad—but it has lead me to some gems, such as the modern body horror masterpiece Fantastic Four from last year; Shaquille O’Neal’s charming, homegrown-vibed Steel; and of course, the afore-alluded to Batman & Robin, which I loved when I saw as a kid, then instantly hated on after I left the theater because everyone else was hating on it, then finally re-watched a year ago and realized that my initial assessment of it as great was spot-on and I never should’ve kowtowed to something as philistinic as popular opinion. 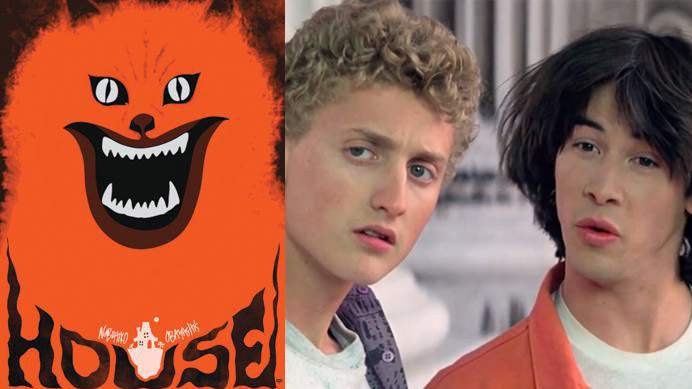 On this episode, Cody Clarke is joined live via Skype by Carl Garcia and Penelope Tayne for a rousing discussion about Hausu, Bill & Ted, and much more! Plus, a brand new Robot Reenactment! On this episode, Cody Clarke and Carl Garcia discuss movies that are good for escaping from thinking about all the craziness going on in the news. Plus, a voicemail from Paul, and a brand new Robot Reenactment! 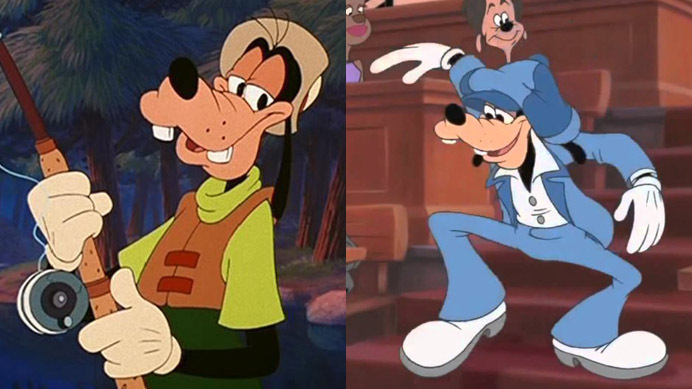 On this episode, Jenna Ipcar and I are joined by comedian Anthony Kapfer for a lively discussion about A Goofy Movie and An Extremely Goofy Movie! Plus, a brand new Robot Reenactment! 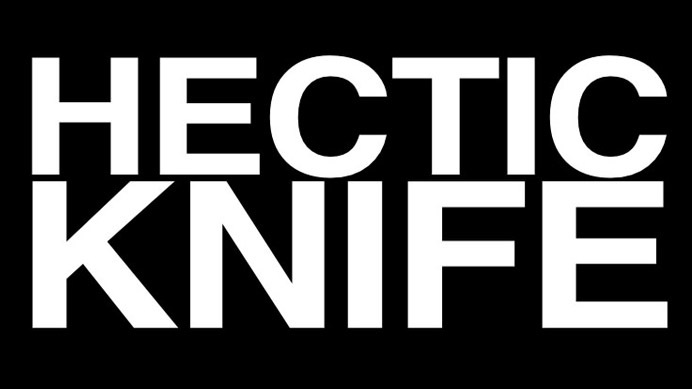 On this episode, Greg DeLiso and I go 1-on-1 about a very important development with his new movie, Hectic Knife! Plus, a brand new Robot Reenactment!